My adventure in extreme knitting started in 2013 with 100% British wool, undyed, and as thick as your little finger. My cats would constantly sit on it and make nests in it, so I made it into cat beds and baskets, using custom-made oversized wooden needles. Each piece is unique, soft, warm and sculptural. Adored by cats for its warmth and woolly scent, I quickly got through the yarn. Sadly this wool was discontinued in 2014 so I had to find a substitute. Similar yarn was available, but too expensive to make it viable. Your cat will love this wool cat basket. And you will love those giant stitches. The extreme knitting Cat Cave is a hooded version for cats who like to hide away. Someone recommended t-shirt yarn which comes in all sorts of crazy colours. I thought this could be a fun new direction, so I made a few baskets, altering the pattern along the way. The recycled nature of the material really appealed to me; they were stretchy, sturdy and very washable. The cats approved. But they didn’t take off. So it was back to square one. I carried on making giant cable knit blankets, and the cat baskets went on the back burner. Then life took over, and there were other priorities. I had a full-time day job which often took me away from home. My art publishing business, Go To Design, was doing well and needed lots of my time. I helped out with my partner’s business, Piano Recording, which was fun and interesting, meeting lots of musicians and helping with their visuals. I wasn’t doing any knitting at all, and I missed it. Then I went through a bereavement, and supported friends who were going through similar. 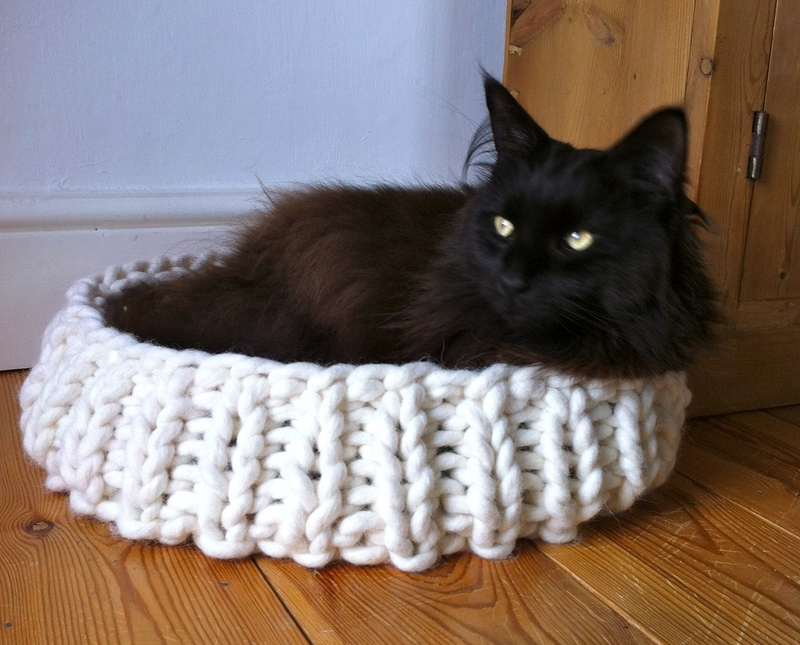 I decided it was time to prioritise, well, giant knitted cat baskets. Whatever floats your boat, eh? It was time to grab it and make it happen. 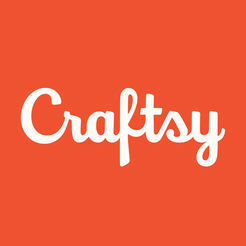 I started googling in earnest and finding out what materials are available out there and how to do this. So I may be on the brink of a breakthrough, with a bit of luck…. I love your cat baskets! I was wondering if you sold knitting pattens for any of these items? I am myself a cat lover (I have 2 boys) and also a very keen knitter. I’ve been trying to get my hands on some giant wool for a while now and i can only find wool from the US. Would it be possible to know where you source the UK wool from? Fantastic knittng and fantastic cats! Thanks Charlotte, but please see above – I cannot reveal my sources…. What are the prices of the cat baskets? Do you ship to Denmark? Yes you can buy my brightly coloured cat baskets from Etsy or Not On The High Street, under the name Knitting Revolution, mad cat basket. I ship worldwide, so sending to Denmark is not a problem.